Join MiS and Octagon for the next installment of our “Ask the Exec” series! We’re giving you access to some of the top sports executives in the Atlanta area. They’ll share their perspectives on what it takes to reach that executive level and eventually gain the C-suite. Can't make it to ATL? You can catch us LIVE on Thursday the 18th! "Companies that have more diverse management teams have 19% higher revenue due to innovation." Data represents the race, gender and job category of more than 800,000 people – everyone from the CEO through service staff. As Senior Director of Brand Communication for the Atlanta Hawks and State Farm Arena, Janet meshes traditional media relations, internal and executive communications responsibilities with integrated brand planning and celebrity and influencer engagement oversight. As the sideline reporter for Turner Sports, Ros covers the NBA on a national stage NBA on TNT & NBATV. She also covers men's and women's college hoops for Pac-12 Networks, the Men's NCAA Tournament for CBS and is the analyst/color commentator for the WNBA's New York Liberty on MSG Network. As Director of the NBA’s Team Marketing & Business Operations (TMBO) Department, Mike Taylor is responsible for helping grow NBA, WNBA and NBA G League team attendance and profitability through strategic consulting on all aspects of business operations. As Director of Marketing and Communications, Rolanda leads all marketing and communications functions for four sports television networks. Managing a cross-functional team, she is responsible for marketing, events, partnerships, community relations, PR and social media across national, regional and local platforms. A Senior Vice President in Octagon’s Consulting division, Bo heads the Octagon Atlanta account team providing day-to-day management of relationships with The Home Depot and Piedmont Healthcare. As founder, Shaina manages the day to day operations for MiS. In her role she oversees and organizes all group branded events including but not limited to: meet ups, conferences, speaker series etc. Additionally, Shaina also pitches and manages all group partnership, sponsorship deals, conference partnerships, and offers. Don't just bring a business card; have your elevator pitch ready! Connect with peers and executives in the ATL sports industry. Have a conversation with some of the top execs in the sports industry as they discuss what they're doing to stay on top of their game and what it takes to move up. Directly ask questions and get real answers on how you can get to the next level. Start making steps to become that executive you always knew you were. Ask the Exec is a series of conversations that highlight and connect our members to various executives and change-agents in the sports industry. Trying to get to that next level in your career? Whether it's staying on top of trends, adapting to new platforms or whatever, it's time to level up! 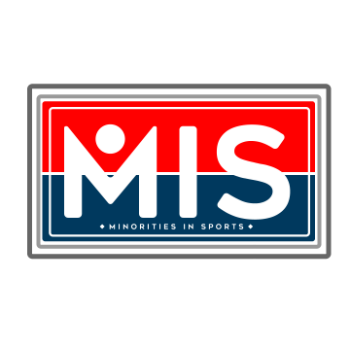 MiS is partnering with Octagon for our inaugural event in Atlanta. Come and hang out with us as we continue to change the industry!